Situated in the area of mangrove forests and limestone landscapes, Krabi is one of the Southern Thai provinces on the pristine Andaman coastline. 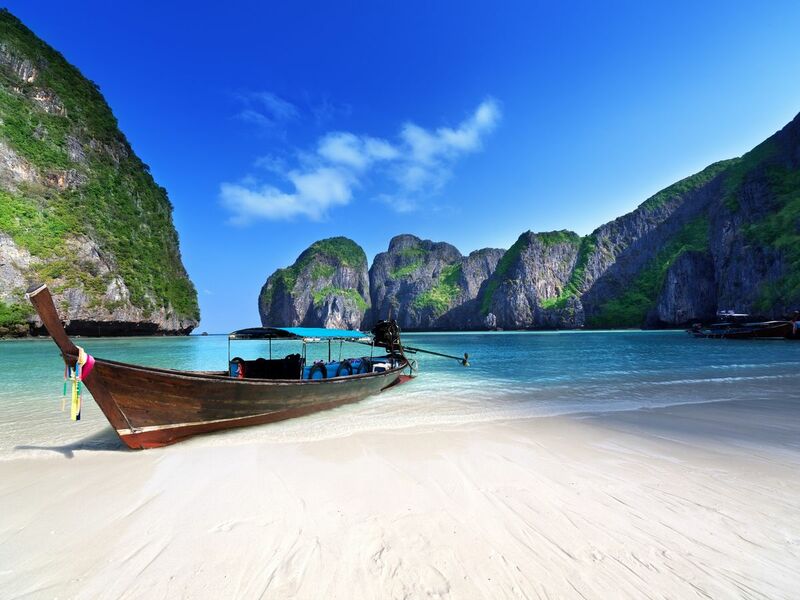 Full of stunning beaches and beautiful islands, it has become a popular place to visit in Thailand. With a plethora of places to visit in Krabi, it's quite a beloved holiday destination for both Thai locals and foreigners. While we locals help highlight the must-visits in your itinerary here, make sure your booking is sorted out just in time! The glittering white sand, stunning landscapes, and turquoise-colored water are the things that make Railay Beach such a pleasureable place to be. To add to the already-pleasant things about Railay, what set it apart is the limestone caves beneath the high and mighty cliffs. Accessible only by boats due to the large cliffs on each side, Railay Beach has been able to gain its popularity as one of the best places to visit in Krabi, and also as a famous rock climbing spots for those with an adventurous side. 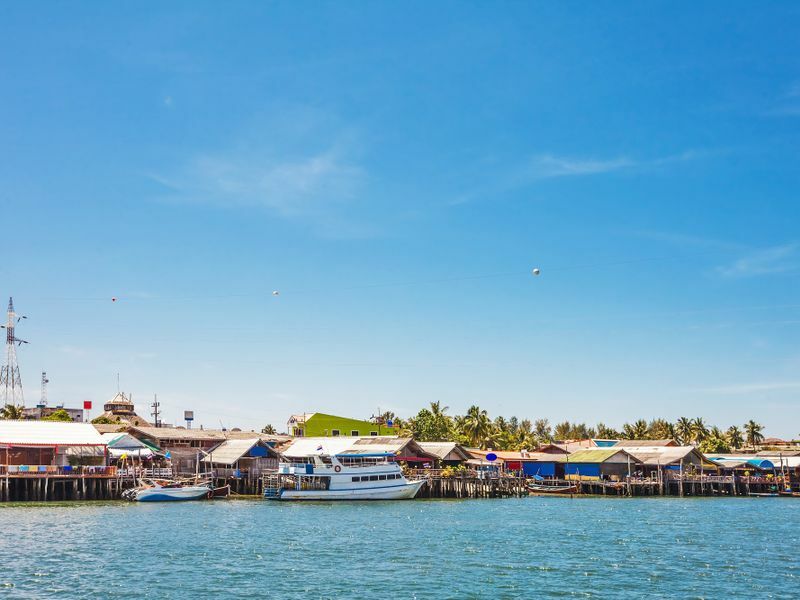 Koh Lanta is an island two hours away from the main Krabi Town. The island home to many ethnicities and religions. 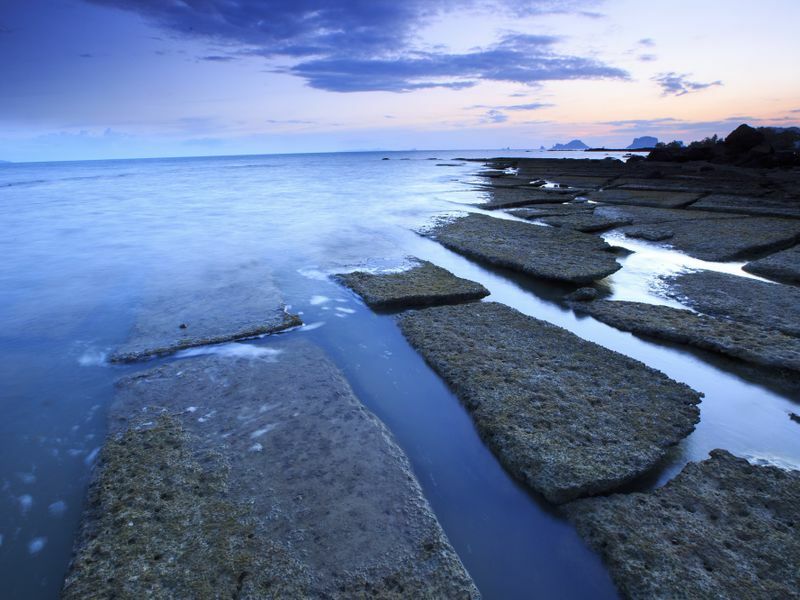 Happy, peaceful communities such as Tung Yee Peng is worth visiting to have a quiet and relaxing time. The island itself has various beautiful beaches that are often quiet but absolutely staggerng. Koh Lanta is also home to many certified diving schools to take you out to see the beautiful marine life. Another island in this list, Koh Phi Phi is a world-famous tropical paradise known for its crystal-clear water and mind-blowing beaches. There are two islands, which are Phi Phi Don and Phi Phi Leh, where the former is inhabited and very popular among tourists. 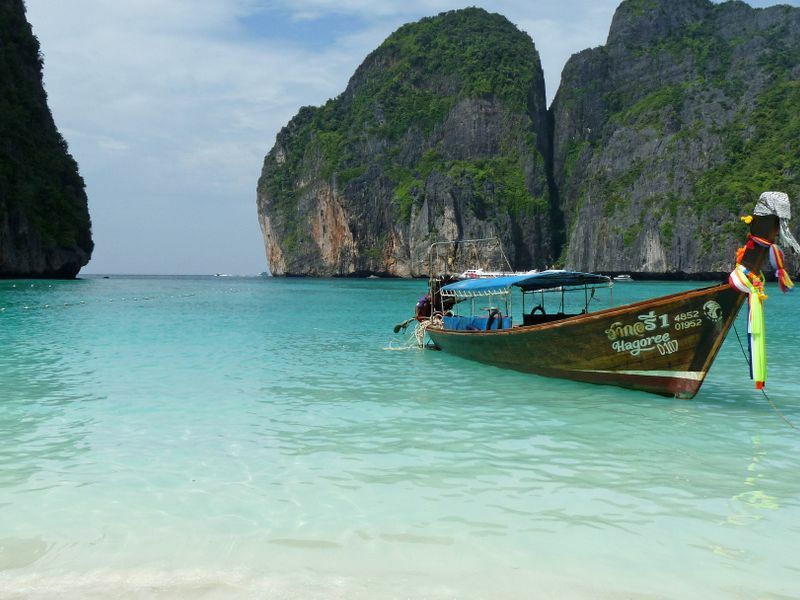 Koh Phi Phi is accessible by speedboat, which takes around 45 minutes from the mainland. 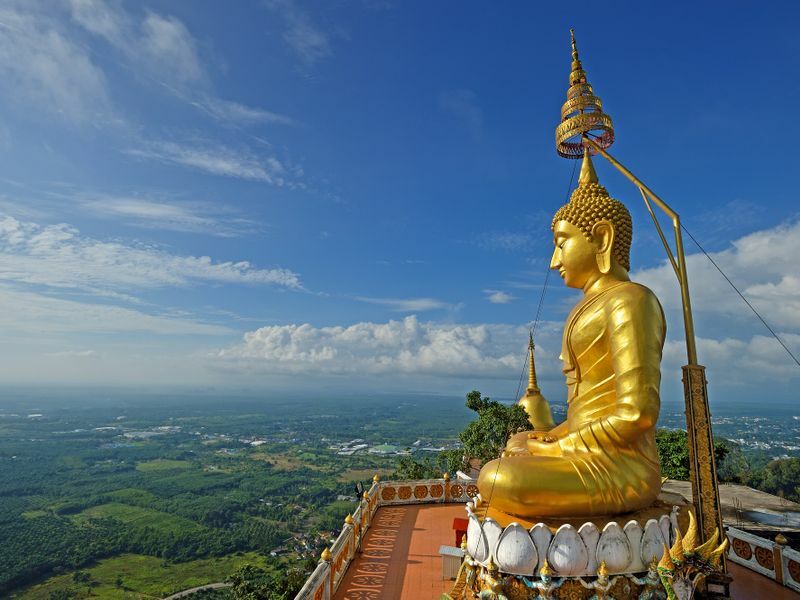 Literally translated as "TIger Cave Temple", Wat Tham Sua is one of the most remarkable places to see in Krabi. Legends say that a tiger who was dear to Lord Buddha lived in these caves, hence the name. The network of stone caves sit within the verdant forest and house many temples and monks inside. Numerous monks inhabit inside these caves in order to step towards divinity, some of which have been there since birth. Climb to the top of the caves, and the cool breeze and the amazing views are definitely a sight to behold. 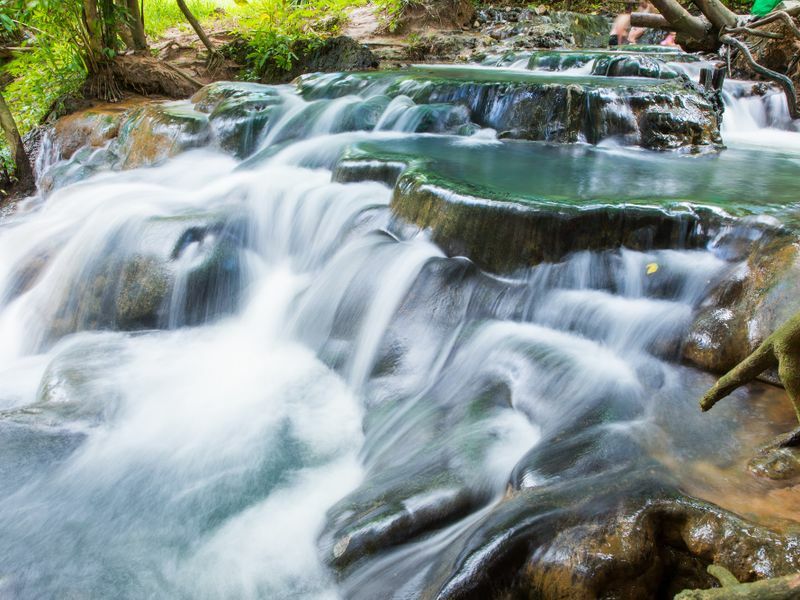 Within the beautiful verdant bluffs lie Klong Thom Hot Spring. The natural mineral water from the thermal springs are from the volcanic chambers deep down below, and the water get up to temperatures of forty degrees Celsius. You will feel absolutely relaxed here from the atmosphere to the natural mineral water which contain numerous healing properties. By now you must know that Krabi is blessed with many natural beauties, but Krabi Town itself is also worth a visit. 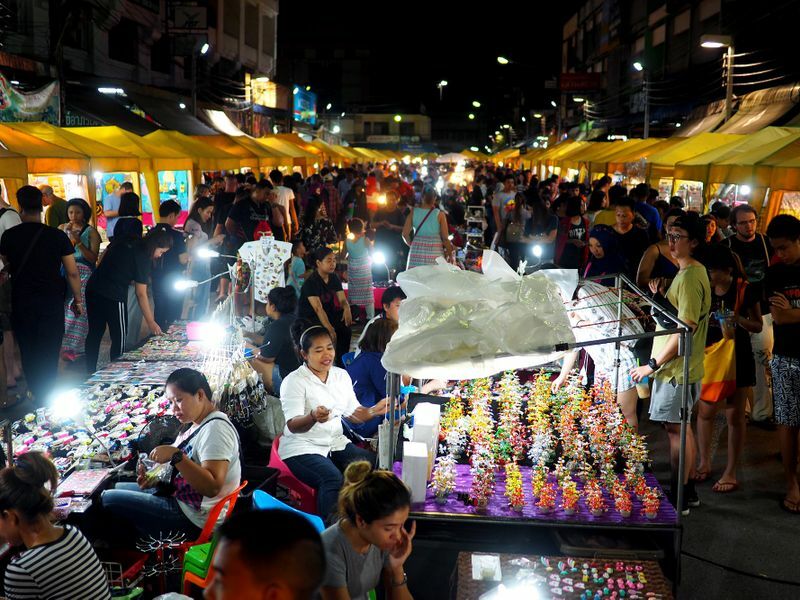 Like many other big owns in Thailand, Krabi has its own night market, which opens every Friday to Sunday in the evening. There are myriads of food stalls, clothing stalls, as well local souvenir shops. Be sure not to miss trying the heavenly coconut ice-cream as the taste is just beyond description! 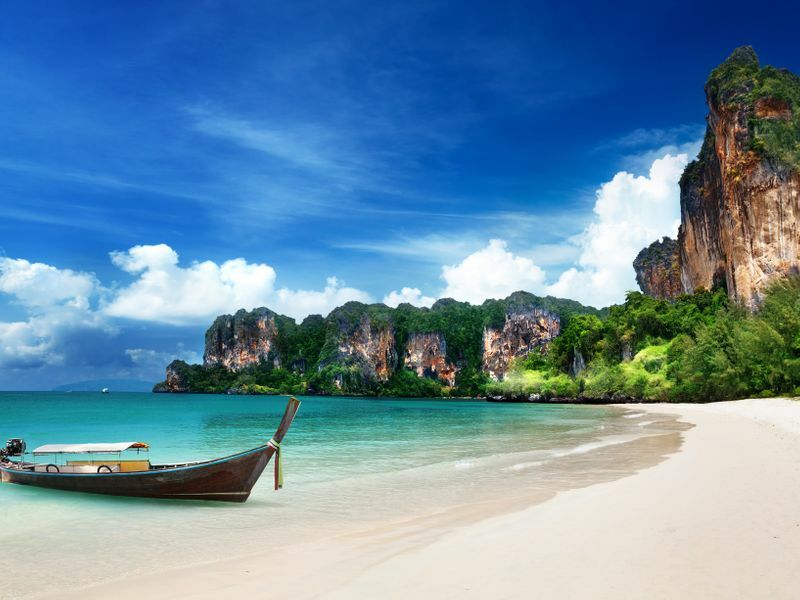 Krabi is surely one of the best places to visit in Thailand. However, why don't you both make your holiday even better by visiting Phuket as well?